Thank you for visiting and “Joining the Fight” against leukemia. Join the Facebook campaign and spread the word. 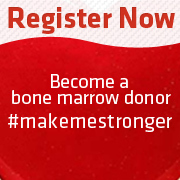 Register as a donor and save a life. Download the Cover Image and Profile Image and upload them to your Facebook profile (use the images below). A quick cotton swab to your cheek is all it takes to join the registry. How do you update your Facebook Cover Image? What is the registration process (videos)? How do you update your Facebook Profile Image? How can I register in the US? We started this campaign in honor of the people we love and care about. Read their stories, and more, on our main page. Special thanks to IHSAN Hadiperbawa for creating the images.